At Hästtorget in Laholm lies Teckningsmuseet – the only museum of drawing in the Nordics. 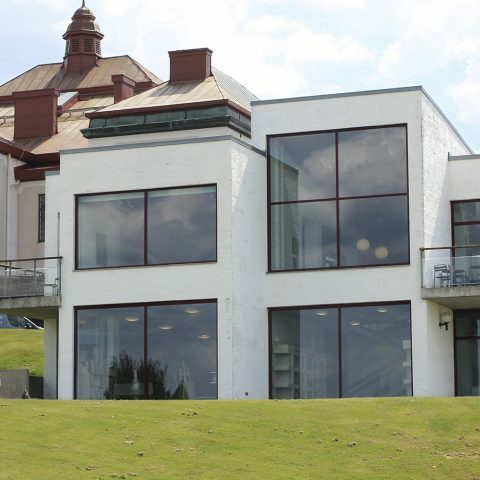 In addition to interesting exhibitions, the museum also offers educational activities for both children and adults. In the open studio downstairs, visitors can create freely or take help from the museum’s art educators who are in place during holidays and weekends. There is also a small shop and a café in the house. Also free admission – all year round! Picking shells, play softball, swim, walk or find a bench and serve a yummy picnic! 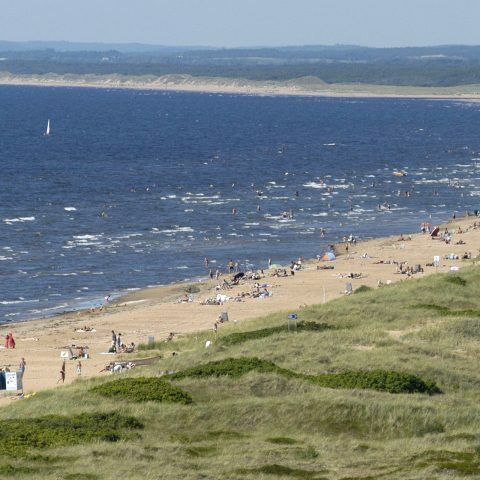 The 12 km long sandy beach along the sea is hard to beat a sunny spring or summer day. In Skummeslövsstrand the sand is somewhat more packed and hard, in northern Mellbystrand it is softer and looser. Stroll, hike or barbecue. Osbeck’s beech forests are located on the northern slope of Hallandsås (Halland ridge), just next to a place called Hasslöv. The nature of the reserve fascinates and has been doing so for centuries. Here are rippling forest streams, rare mosses, extensive wildlife and several ancient remains. There is a toilet next to the car park, and at the eastern barbecue area there are bench tables adapted for wheelchairs. Hjörneredssjöarna (The Hjörnered Lakes) is an artificial lake system that was created when the river Lagan was reshaped and put the village Hjörnered below water. 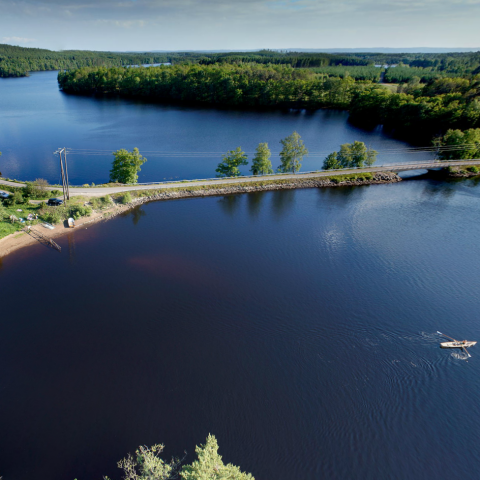 Here you can bathe, fish, rent canoes, hike and camp. Around the area there are placed toilets, trash cans and fireplaces. 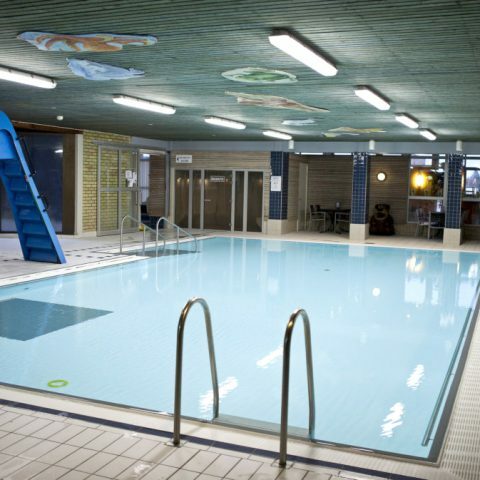 Under the Public Health Center’s (Folkhälsocentrum) roof you will find, among other things: four swimming pools (three of which have slides), bubble pool, sauna, gym and a café. Here, all age groups can be activated and stimulated. Outside there is a 500 square meter skate park in concrete. 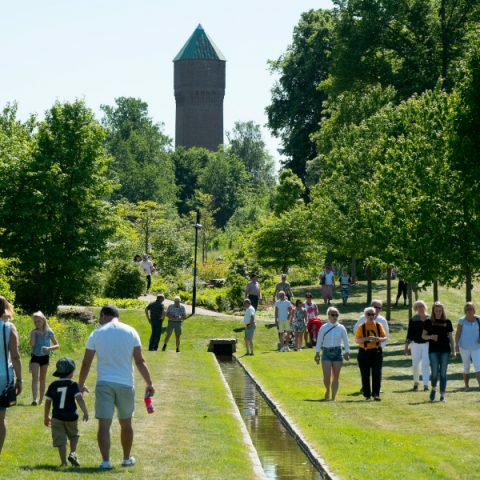 Here you will find something for everyone: big and small, old and young, the generally curious or the garden enthusiast. 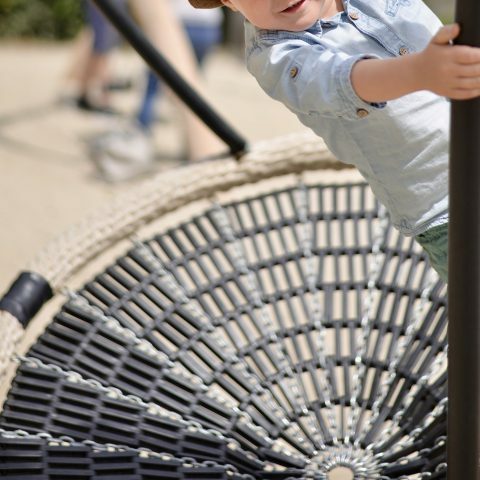 The award-winning town park in Laholm has several playgrounds and a stage with fun events in the summer. Also keep an eye out for the free guided tours – especially with the friendly troll Skilla. Along Stora strandvägen in Skummeslövsstrand lies Laholm’s largest playground. 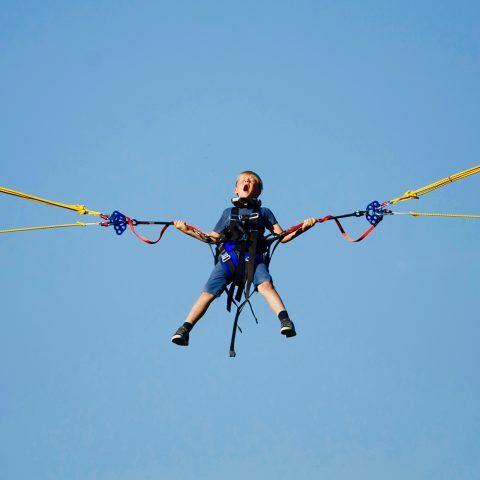 Here you’ll find big and small swings, fun climbing frames, football goals, toilets, bench tables and a large outdoor grill. And nearby – besides the beach and the sea of course – there are several restaurants and kiosks. 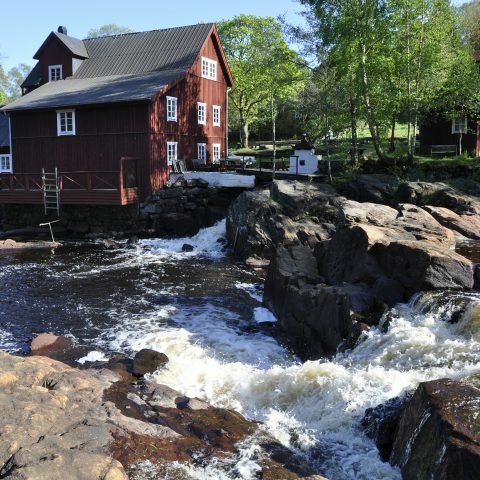 The roaring Kvarnfallet (The Old Mill waterfall) in Knäred is a scenic place where you can enjoy a cup of coffee, barbecue, swim or just sit and admire Krokån’s flow past the 400-year-old mill. 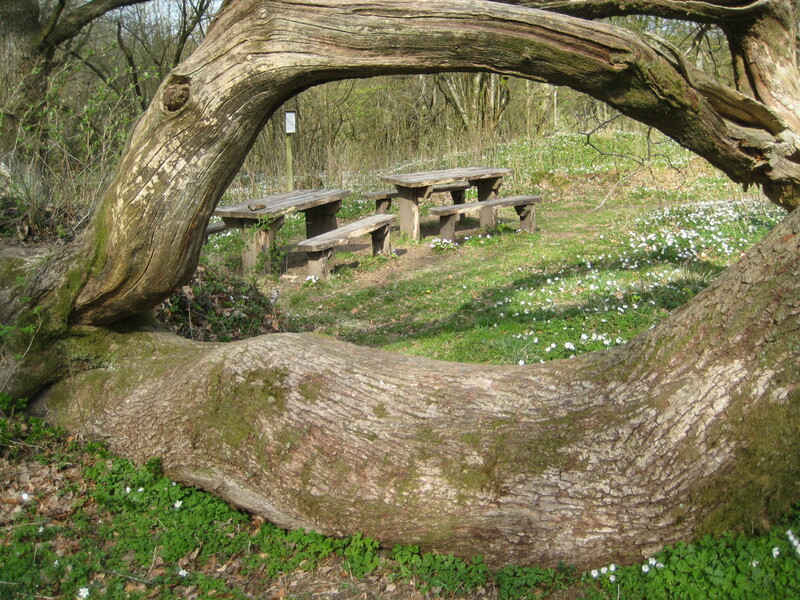 Nearby there is a large car park, a café, a museum and several walking friendly trails.